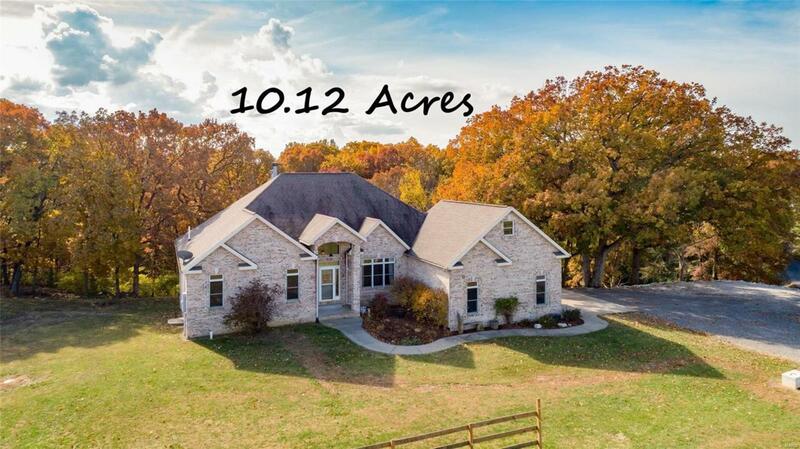 A VIEW OF NATURE and located on 10.12 acres just outside the city limits off Deer Hollow. The property is partially fenced with a loafing barn and large pole building on the property located near Lake Lou Yaegers horse trail. This 4 BR, 3 BA home features a cathedral ceiling and woodburning fireplace in the great room with the focal point being the beautiful atrium window overlooking the creek and woods below. You'll appreciate the large kitchen, dinette area which has ceramic tile with a screened-in deck for summer dining and the formal Dining Room. The finished walk-out basement has a huge recreation/family room area with a second woodburning fireplace. Walk up stairway storage above garage. Geothermal heat. Home Warranty Offered. Time to own your own piece of paradise! Second parcel included 10-26-300-038.